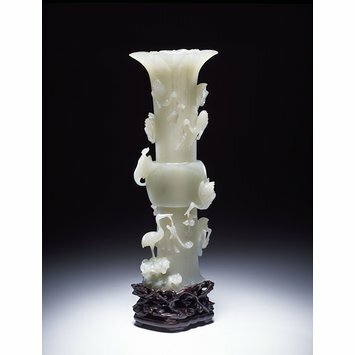 This large vase is decorated with cranes in high relief. 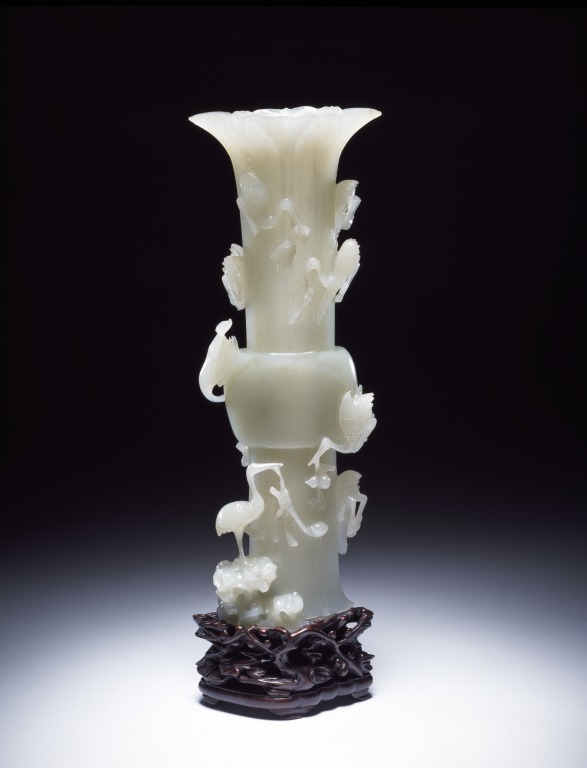 Jade vases of larger sizes made their appearance only in the 18th century. This was when the supply of the fairly large blocks of nephrite jade needed to make them became readily available.